I first heard of Bedgebury Forest and Bedgebury Pinetum back in 2011 when I ran the Bedgebury Forest Trailblazer 10k. That was pretty much the last time I made a plan on a Saturday morning that didn't involve parkrun. 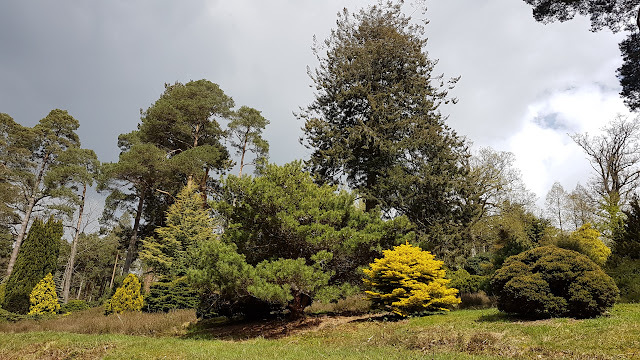 I have to be honest and say I wasn't entirely sure what a pinetum was, so I looked it up and found out that it is 'a plantation of pine trees or other conifers planted for scientific or ornamental purposes'. Bedgebury Pinetum sits within the 'High Weald Area of Natural Beauty' in Kent and is a pretty special place. It was established in 1925 and covers 325 acres. With over 10,000 trees it is recognised as the most complete collection of conifers anywhere in the world. 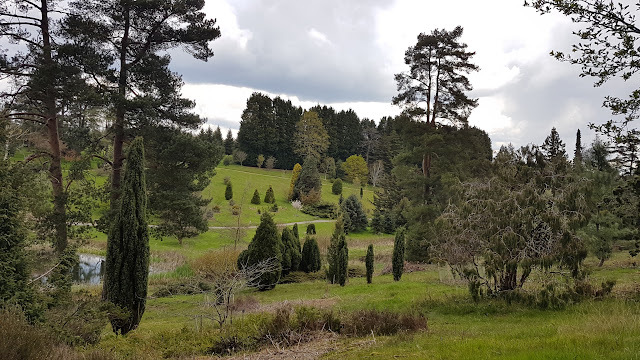 The land used for the pinetum was once part of the Bedgebury Estate, which after changing hands a few times over the years, finally wound up in the safe hands of the Forestry Commission when they took over the management of the pinetum in 1969. The work that takes place here is of great importance to the conservation of conifers and it is part of the International Conifer Conservation Programme. 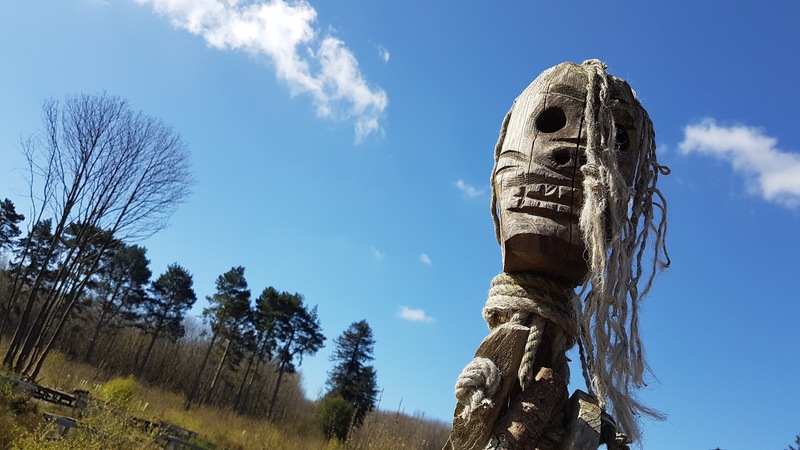 The collection is continually expanding and the site is used for 'ex situ conservation' which is the process of protecting an endangered species outside of its natural habitat. This is typically used when the specimen's natural habitat is under threat. 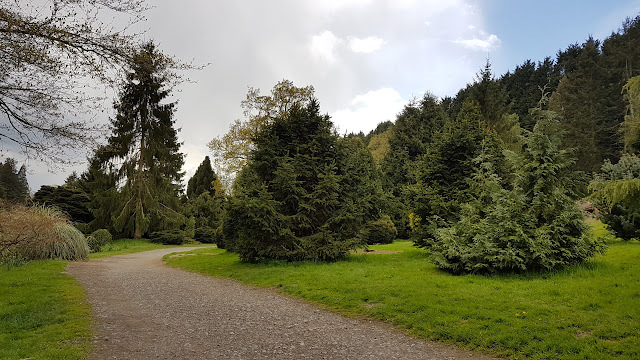 The pinetum is also home to Kent's tallest tree which is a 51 metre tall Grand Fir called 'Old Man of Kent'. On 19 March 2016, Bedgebury Pinetum parkrun had its inaugural event. The initial few weeks saw attendance figures in excess of 100, but that had eased off a little now that things have settled down. 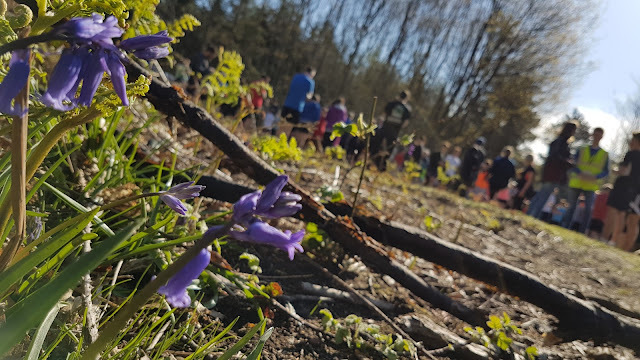 At time of writing (April 2016) the venue is attracting around 100 runners per week. I visited on 30 April 2016 at event 7 where 137 runners took part, which was quite a bit higher than recent weeks. Then again, we did visit on a really beautiful morning and this was also the weekend after the London Marathon so I suspect those things helped to motivate the extra people to come along. Unless you live close enough to cycle or walk, the only realistic way to reach this venue is by car, and car parking is available on-site from 8am. However it might work out pretty expensive - if you drive, park, run and leave before 10.30am you can pay £3. But if you want to stay on past that time then you are going to have to cough up the full £12 weekend parking fee, which is what we did as we really wanted to spend the day here. 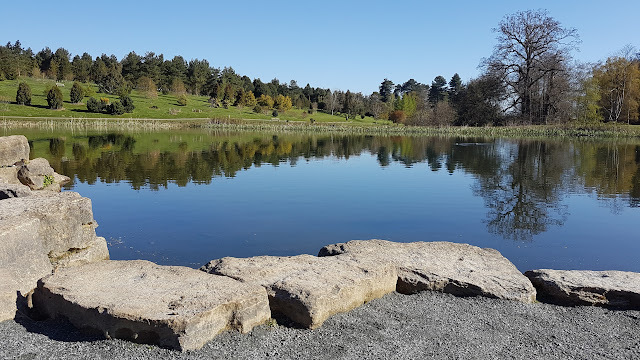 All of the money raised through car parking fees goes straight back into making Bedgebury Pinetum the great place it is. 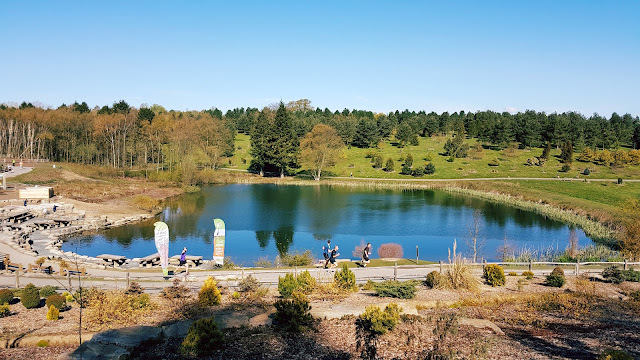 For anyone planning to run here on a regular basis the Friends of Bedgebury offer an annual membership of £66 that includes unlimited car parking. 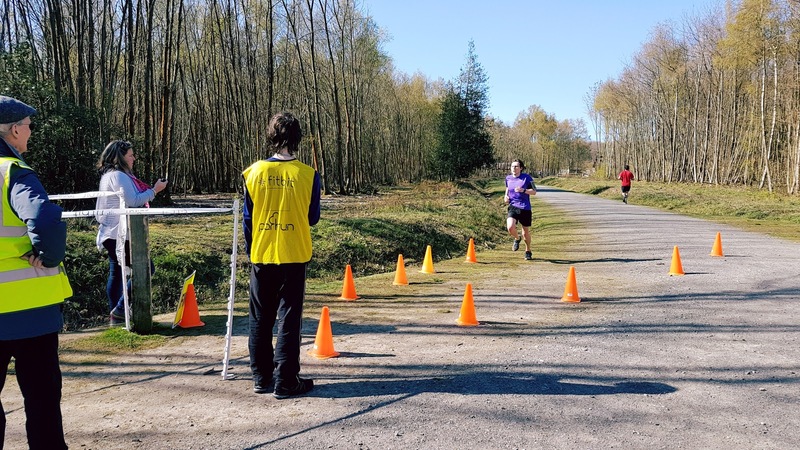 It's also worth noting that Bedgebury Pinetum have the option to land your helicopter or hot air balloon on-site, but please note that if you are planning to arrive for parkrun via one of these methods, you will have to pre-arrange this. That is of course unless you are the Kent Air Ambulance which landed while we were there to tend to an injured mountain biker (broken arm from what I gather). So if you did want to try to reach the venue without a car, helicopter or hot air balloon, Etchingham is the nearest national rail station - however it is apparently a 30 minute cycle ride from the station. I'm not even going to work out how long it'd take to walk that. Another option would be to travel to Tunbridge Wells by train and then take the 254 bus which will get you as far as the village of Filmwell and the walk from there looks a little more reasonable even if there are no pavements. Once on-site, you'll find plenty of bicycle racks dotted around the place - this is mostly down to the fact that one of the big attractions are the aforementioned mountain bike trails. There is a cafe which has toilets and showers. For some reason I had trouble finding the meeting point for the parkrun, I knew it was fairly close to the car park, but I didn't spot any sign of parkrun's existence. I asked a fellow runner who pointed me up a path heading towards the Go Ape centre - when I reached the Go Ape hut I followed the path round to the left. From this point I could see lots of hi-vis vests and the finish funnel. 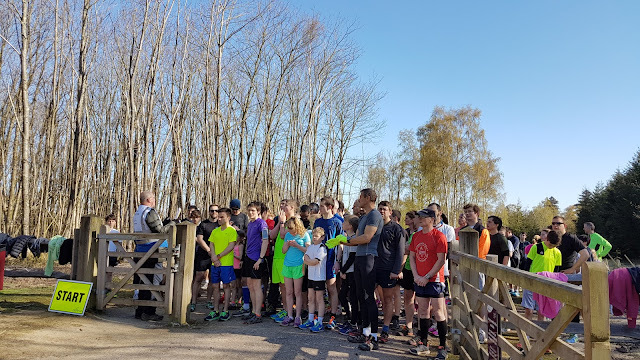 The pre-run main briefing took place right at the start line, which is a bit of a squeeze as the runners are penned into a fenced area with them only able to pass through an open gate. Once through the path is wide enough to enable the runners to jostle themselves into the correct positions. 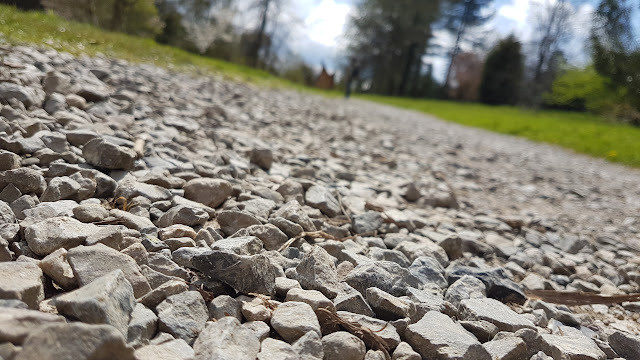 Underfoot you will find hard paths which are mostly either gravelly or stony. So although trail shoes may come in handy in the winter they certainly are not required during dry conditions. Buggy runners will be fine, but there are some sections that could be a little bumpy for the occupant. The course is essentially one single, anti-clockwise 5km loop. It starts with a kilometre of uphill running where my GPS data says that I climbed 42 metres. Then it undulates a little before rewarding you with two kilometres of downhill running where I apparently dropped 59 metres in elevation. Up to this point the running had taken place within forest areas which are nice but the thick covering of trees does mean that there are no views to appreciate. However, with the paths being a little bumpy around here, I did find that I was looking down quite a lot of the time anyway. 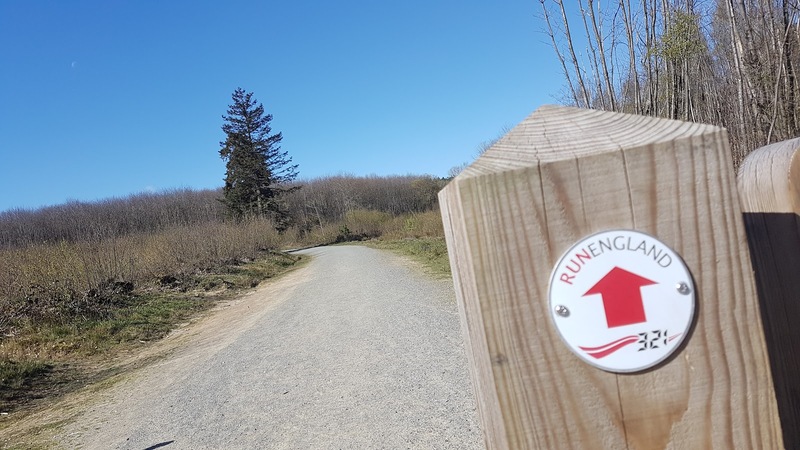 At the three kilometre point, the run enters the main part of the pinetum and this is where things become more pleasing to the eye. The paths from here on are in better condition with very little loose gravel or bumps to be found. 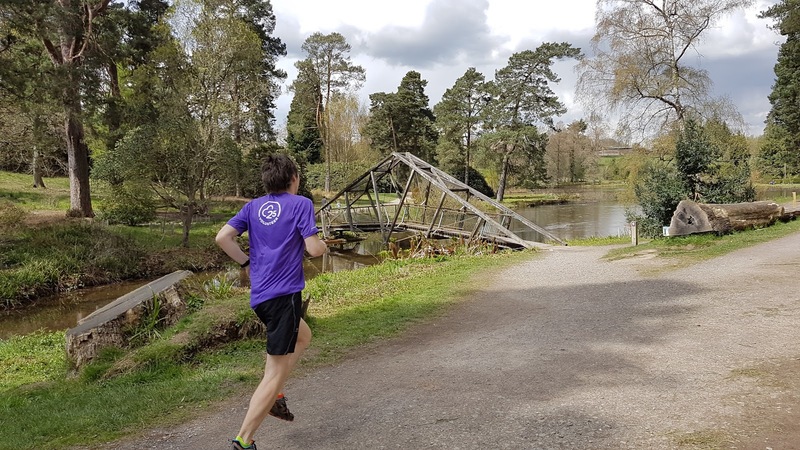 There is a quirky looking bridge that crosses 'Marshals Lake' which I thought was quite on topic for a parkrun and the paths start to meander a little more. Now if you've done your maths you will already know that the course is now at a lower point than it started, so from around the 3.6km point the paths take you gradually back up hill. There's a short, sharp zig zag to negotiate which is shortly followed by the sight of the lake, cafe and car park. 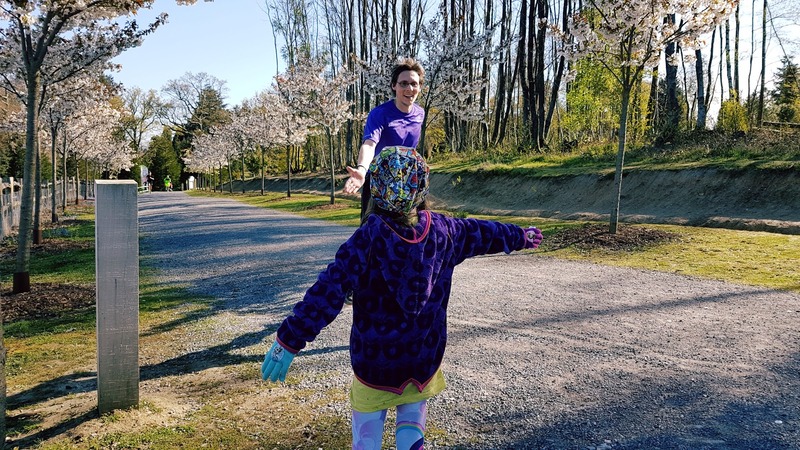 After a loop of the lake there is a final tough section, part of which is through an avenue of cherry trees which takes the runners back up to the level of the start-finish area. Here they loop around the Go Ape hut and then run the opposite way back along the opening 100 metre stretch to find the finish. I have to admit that I was pretty glad for the 5k to be over - maybe it's because I had run a 5km race just 14 hours before parkrun and I was still feeling the after effects of that. Barcode scanning took place right next to the finish line. Once that was taken care of, we nipped over to the playground where we could watch the rest of the runners as they made their way towards the finish. The playground was pretty nice - all of the apparatus are made from wood, it has a bit of an adventure-y nautical theme and features lots of sand. There was also a table tennis table with a box containing balls and bats so we popped it open and had a few games. 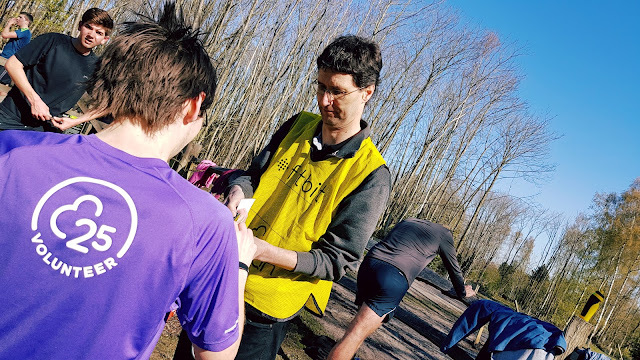 Going back to the parkrun - the course was signed and marshalled at a few key points but I couldn't help feeling that it could have done with one or two more marshals out there. One point where this was especially noticeable was the final turn where the runners turn onto the finish straight - there was no signage or marshal here, so if I had followed the standard parkrun and general racing logic (ie carry on running unless a sign or a marshal says otherwise) I would have ended up running a second lap. 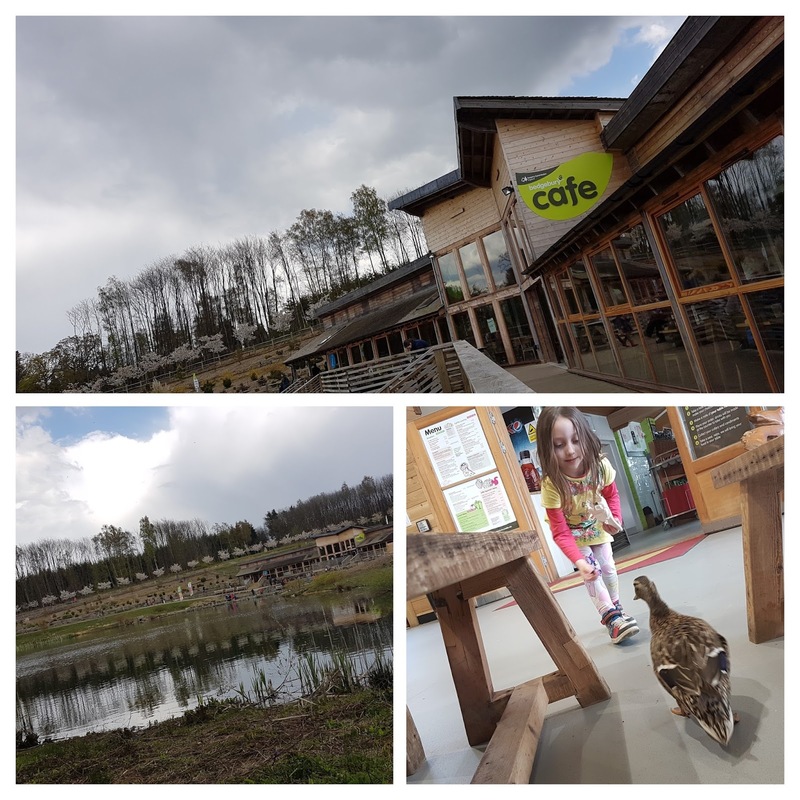 With parkrun and playing all done with, we headed down to the Bedgebury Cafe for breakfast. It's pretty decent and we all enjoyed our respective veggie options. We were even joined by one of the ducks which decided to wander in from its home on the lake just outside. It was now time to carry on with our day out and we started off by following the Stick Man Trail which included a few fun activities to do along the way. A few hours later we returned to the cafe for some more refreshments and we then headed off home. 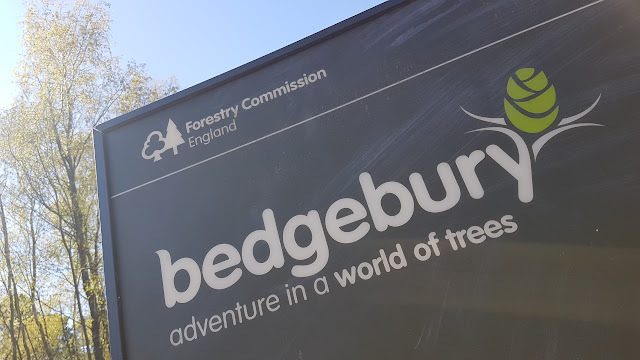 We were thoroughly exhausted, but had had a brilliant day out at Bedgebury. It's definitely a great place to visit, so if heading down for the parkrun I'd recommend staying for the day. Next time we visit, we are planning on checking out the mountain bike trails.